Free Scripture Journal tracing page for the Woman at the Well. As I was studying the talk Certain Women by Linda Burton earlier this week, I was struck by the story of the Woman at the Well. I love the imagery the Savior shares in these verses. He is the Living Water. I'll admit that sometimes during this busy season of my life I find myself feeling thirsty. 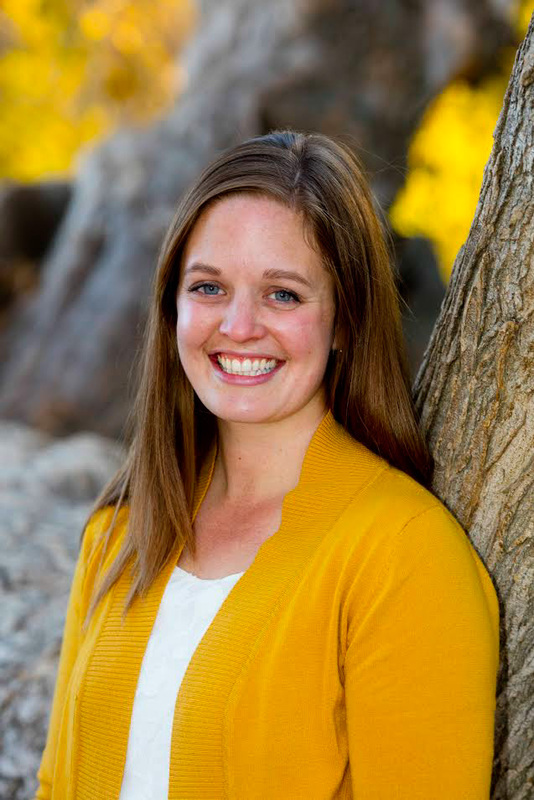 Thirsty for peace and quiet and a connection to Christ. 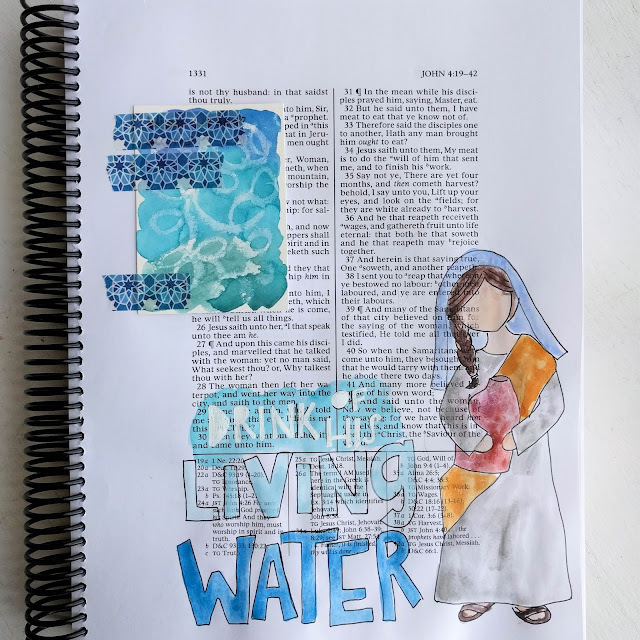 My study this week reminded me that as I try each day to spend time with my Father in Heaven, I am drinking little drops of Living Water. While it may not be the rushing waterfall I might receive if I could spend my days immersed in scripture, it is enough. It is enough to keep me afloat through days of teaching and training little ones, cleaning up never-ending messes and sneaking in time for myself in the cracks. This quote was so powerful to me. I identified completely with the term "soul-stretched". I have felt exactly that way before. 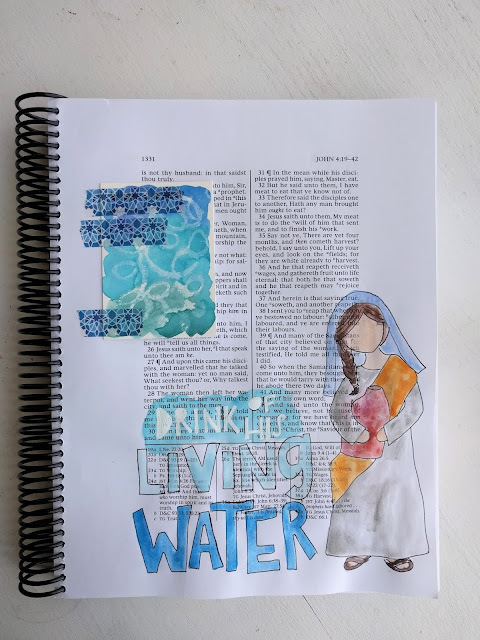 I love adding visual reminders like this to my scriptures. 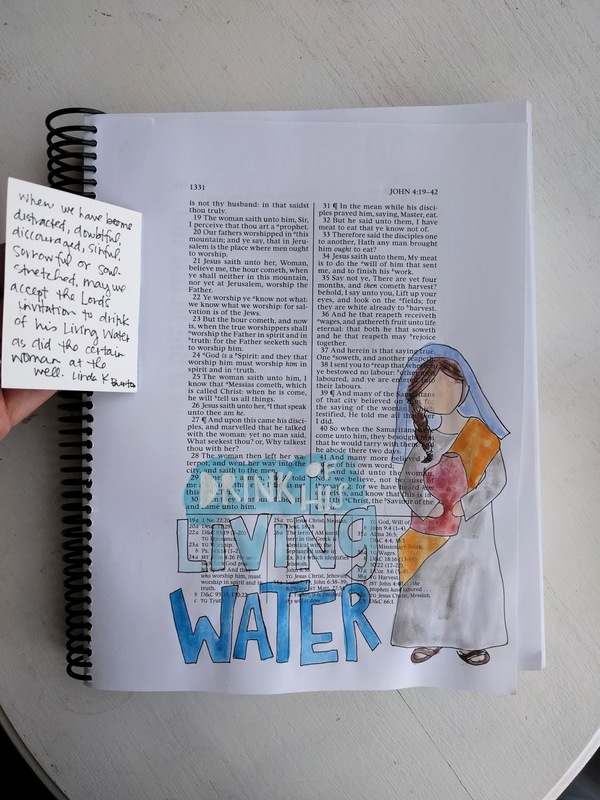 Today I've got a free download of this page for you to color or trace into your scriptures.